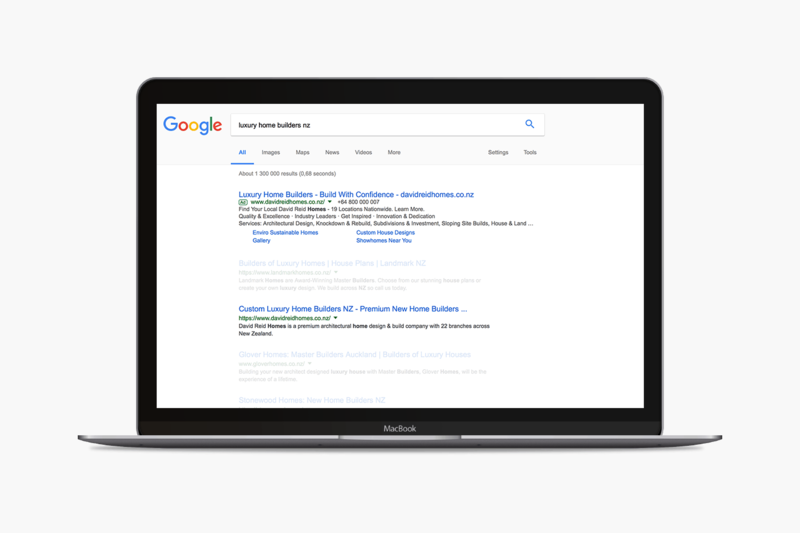 When we took over the SEO and Google Adwords management for David Reid Homes in 2016, search visibility was no way near where it ought to have been. For a highly established, credible company it needed more people finding the website through organic search. We optimised the site in a few stages. After our first optimisation of their website we had >100 keywords in positions 1 – 3 within 6 weeks, and another 60 keywords on page 1 (positions 4 – 10). The search engine optimisation we’ve done and continue to work on, in combination with the Google Adwords management ensures the DRH website gets the search visibility it needs and well deserves. Want to talk digital marketing or SEO ?